Today’s blog post is an open response to a question I received in an e-mail a couple of days before Christmas from a highly respected and valued ministry colleague and friend. Is mental illness a disability? Many of the definitions (NAMI, etc.) for mental illness that I find do not include the word “disability.” Would I expect to find a person with mental health struggles (depression, bipolar, schizophrenia) to be a part of our disability ministry at XXXXXXX Church? No. For me, mental illness is a separate…and much needed…ministry within the church. Is this a topic that the special needs community would expect Key Ministry to address? Webster’s Dictionary defines disability as a condition (such as an illness or an injury) that damages or limits a person’s physical or mental abilities. Under the Americans With Disabilities Act, an individual with a disability is a person who: (1) has a physical or mental impairment that substantially limits one or more major life activities; OR (2) has a record of such an impairment; OR (3) is regarded as having such an impairment. The World Health Organization defines disability as an umbrella term for impairments, activity limitations and participation restrictions. Disability is the interaction between individuals with a health condition (e.g. cerebral palsy, Down syndrome and depression) and personal and environmental factors (e.g. negative attitudes, inaccessible transportation and public buildings, and limited social supports). How do you define mental illness? The National Alliance for Mental Illness (NAMI) states that a mental illness is a medical condition that disrupts a person’s thinking, feeling, mood, ability to relate to others and daily functioning. 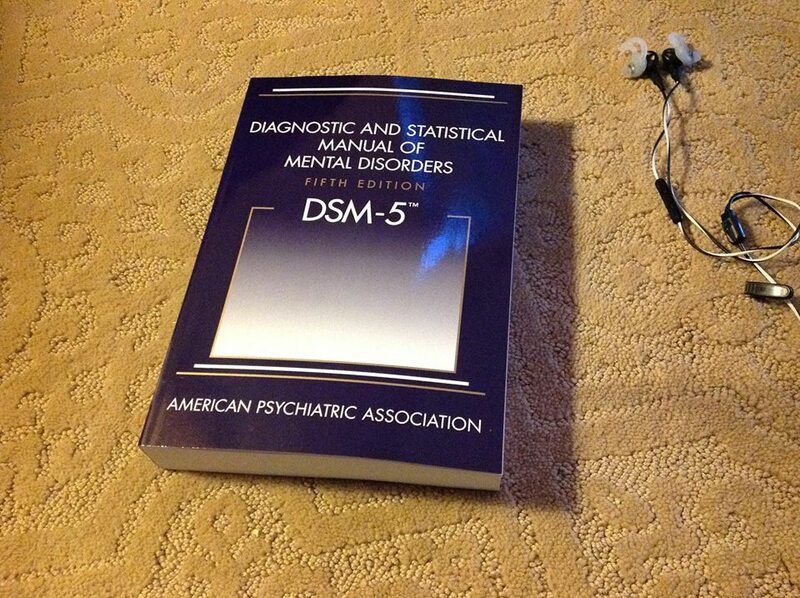 The U.S. Centers for Disease Control defines mental illnesses as disorders generally characterized by dysregulation of mood, thought, and/or behavior, as recognized by the Diagnostic and Statistical Manual, 5th edition, of the American Psychiatric Association (DSM-5). I’ve been pondering this e-mail for several weeks…because of the person who sent it and the questions they raised …questions that are absolutely fundamental to the future direction of the disability ministry movement and fundamental to the future mission of Key Ministry. I was very surprised by my friend’s first question, because in my mind, the answer is so clearcut. Is mental illness a disability? ABSOLUTELY. The answer is so obvious that the question seems absurd. 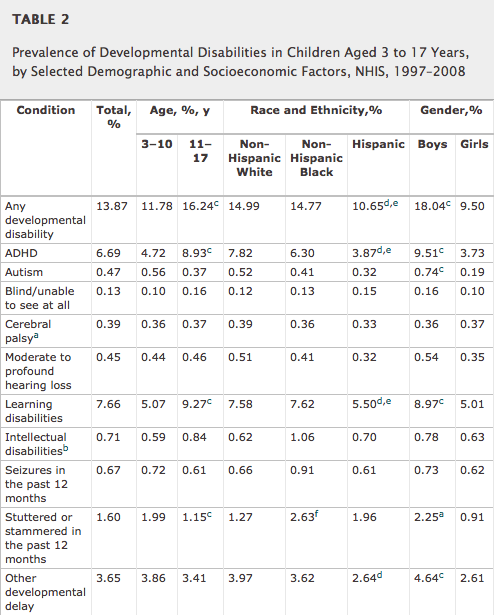 Here’s a 2011 article in Pediatrics examining trends in the prevalence of developmental disabilities in the U.S. from data obtained from the National Health Information Survey…for the purpose of this survey, developmental disabilities are defined as lifelong conditions arising in early childhood as a result of cognitive or physical impairment or a combination of the 2. Note that ADHD is listed as the most common developmental disability. Autism is, by the definitions above, a mental illness. Remember the controversy when then diagnostic criteria for autism were revised last year by the American Psychiatric Association? Mental disorders are common in the United States and internationally. An estimated 26.2 percent of Americans ages 18 and older — about one in four adults — suffer from a diagnosable mental disorder in a given year. When applied to the 2004 U.S. Census residential population estimate for ages 18 and older, this figure translates to 57.7 million people. Even though mental disorders are widespread in the population, the main burden of illness is concentrated in a much smaller proportion — about 6 percent, or 1 in 17 — who suffer from a serious mental illness. In addition, mental disorders are the leading cause of disability in the U.S. and Canada. My colleague’s next question is far more interesting…and the subject of our next post. Would I expect to find a person with mental health struggles (depression, bipolar, schizophrenia) to be a part of our disability ministry at XXXXXX Church? No. Why wouldn’t we expect people with the most common cause of disability in the U.S. to be served by our existing disability ministries? My colleague is absolutely right…they’re NOT currently being served. Why not? Is that a good thing or a bad thing? I very much encourage or readers to add their thoughts and comments. This entry was posted in Adoption, Controversies, Hidden Disabilities, Mental Health and tagged church, Disability, Disability Ministry, Key Ministry, mental health ministry, mental illness, NAMI, National Institute of Mental Health, special needs. Bookmark the permalink. 6 Responses to Is mental illness a disability? Some churches are starting to catch on. A good book about this is “Troubled Minds, Mental Illness and the Churches Response” by Amy Simpson. Our church and others in our area have offered to host NAMI family to family classes. It’s a start in the right direction. Appreciating this post and looking forward yo the next as mental illness is so prevalent and affects not only children and youth I work with, but their parents and family members and any friends they might consider inviting to church or simply want to connect with on a spiritual level. I would expect a ministry dedicated to meeting the needs of those with disabilities to include those with mental illness, if special accommodations are needed. However, I would not expect the person with a mental illness to be treated as if they have an intellectual disability or as if they have a “disease”. People are often uncomfortable around those with physical or intellectual disabilities, but I think fear is more rampant when the disability involves mental illness. People still judge those with mental illness and to associate them with danger so in addition to being overlooked, I suspect they are also more likely to be intentionally shunned. I do think mental illness should be intentionally mentioned when planning, offerring ministries for those with disabilities while acknowledging that the main accommodation may be education of others and pro-active inclusion (vs segregated class). Are you familiar with The Icarus Project? Or the Neuro-atypical Pride Movement? While I do not support spiritual by-pass, I understand that the Church in the not-so-distant past, tolerated people who heard “angels” (Joan of Arc, etc.) and shunned those who saw “demons” (all the poets and prophets who were crucified). Some churches do better than others in creating a context for mental state pluralism.